Watching from my vantage point in Washington, it seems many are missing the big picture in Canada-U.S. relations these days. Relatively minor disagreements over matters such as who should attend a summit on the Arctic are obscuring the central point that American and Canadian forces – as well as diplomats and development experts – are beginning the most important combined wartime operation since the Second World War. On this effort – the decisive Kandahar City campaign – most likely rests the fate of the Afghan mission. Canada has been trying to control Kandahar for years, of course, but without the kind of broader NATO support needed for such a large and crucial area. Kandahar is the spiritual home of not just the Taliban but, arguably, Afghanistan in general. It’s the city where the 9/11 attacks were organized. It’s the focus of Taliban efforts to defeat the Karzai government and the international community in our effort to create stability, the rule of constitutional law and opportunities for economic and human development. The Kandahar campaign is not a simple military operation. As the initial waves of 30,000 additional U.S. troops arrive this spring (along with lesser numbers of other NATO reinforcements), they are starting to take key positions in the area. This will be no repeat of the recent takedown of Marja, the town in neighbouring Helmand province where U.S. Marines arrived by helicopter in an inside-out operation. Nor will it resemble the big firefights that characterized early days in Iraq, in places such as Ramadi and Fallujah. Rather, it will – out of necessity – be a gradual and indirect approach, with U.S., Canadian and other NATO soldiers establishing a perimeter around the city, in places such as Arghandab, Zhari and Panjwai. The theory is that, with these towns secured, Taliban operatives seeking to infiltrate the city proper from more rural bastions will be impeded. Over time, the city will be under less threat, and as we better train Afghan police and army units, they can establish actual control within Kandahar itself. The whole approach will take months, even if it works exactly according to script. Because the Taliban haven’t carried out the sort of widespread truck bombings that turned local populations against al-Qaeda forces in Iraq or, more recently, the Taliban movement in Pakistan, our metrics of measuring success will be harder to identify. A simple reduction in violence will not be so dramatic, or so easy to see. We will have to look for subtler measures of effective governance, gauged through public opinion surveys and the like. 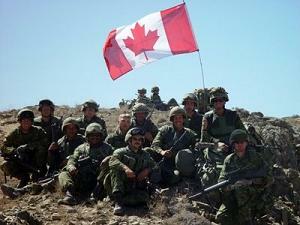 Understanding the strategy for Kandahar underscores the centrality of the Canadian role. Clearly, as the year unfolds, it will be U.S. troop numbers that dominate the battlefield geometry. But this isn’t all about slugging it out with the enemy; in fact, it’s least about that. Three challenges face us: understanding tribal and political dynamics, and working to help improve the effectiveness and legitimacy of local Afghan governance; preparing Afghan security forces for the job of controlling Kandahar; and gauging whether our indirect approach is working. To tackle these tasks, expertise built up over years rather than months is crucial. Experience working with local Afghan army and police units, for example, is irreplaceable. The Canadians have a three-to four-year head start over Americans in such endeavours, so we need to listen to our friends from the north. We Americans also need to feel unabashed about asking Canada to stay on in Afghanistan past 2011 in whatever form, and in whatever numbers, may prove possible. Deciding what’s feasible is a Canadian matter, of course. But the importance of the war is too real, the expertise brought by Canada too special, and the importance of consolidating any gains we can make this year too great to pretend we can do this job ourselves. Michael O’Hanlon is a senior fellow at the Brookings Institution. He is co-author, with Hassina Sherjan, of Toughing It Out in Afghanistan.